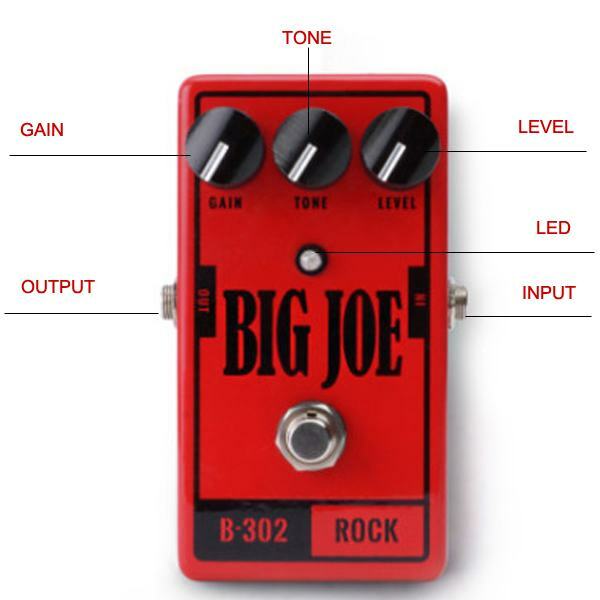 Big Joe B-302 Rock guitar effects. A workhorse rock distortion pedal with plenty of bottom end, sustain and harmonics. This pedal is a versatile option for many overdrive and distortion tones. Gain control lets you fatten up your sound or over drive your guitar. It gives you that, thick, meaty, classic big amp tone color without complete loss of transparency.